Hellloooo, Lacquerbeanz! 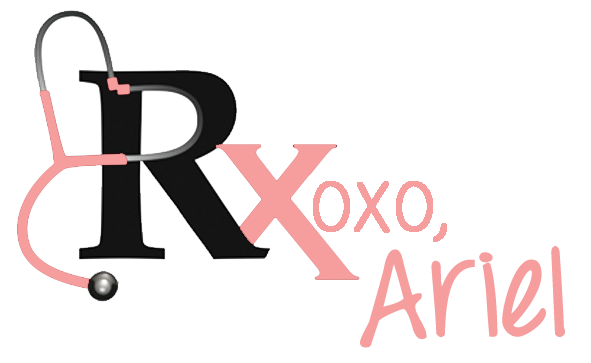 My name is Ariel and I blog over at Lacquer: The Best Medicine! I am so excited to be here posting for Babi, the sweetest, most adorable lady in the blogosphere! I have a cute, simple nail look to show you today. Let's have a look! 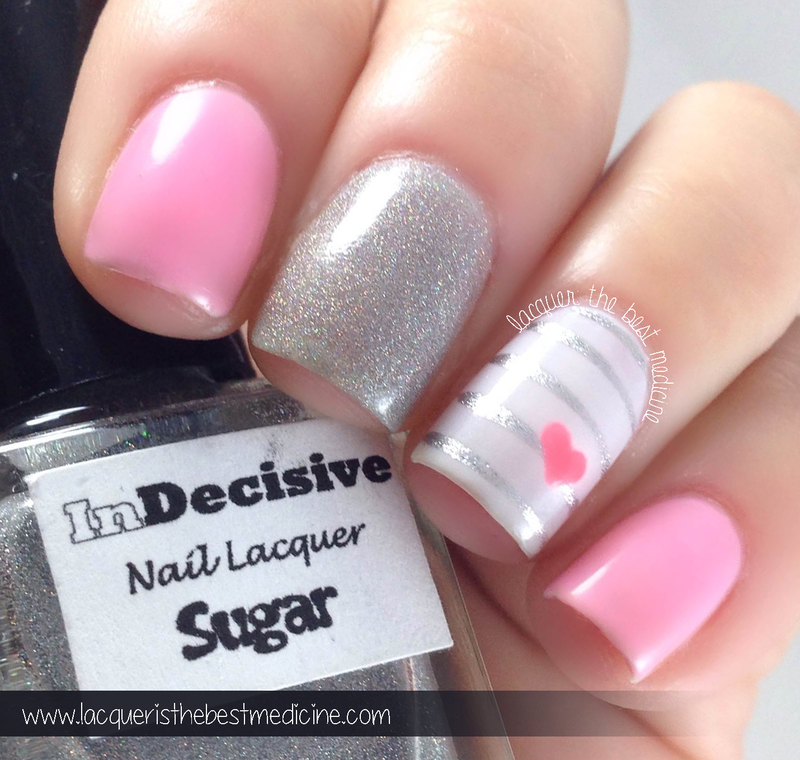 This mani was inspired by amkuch15. I saw her mani on Pinterest here and had to replicate it -- I love it! 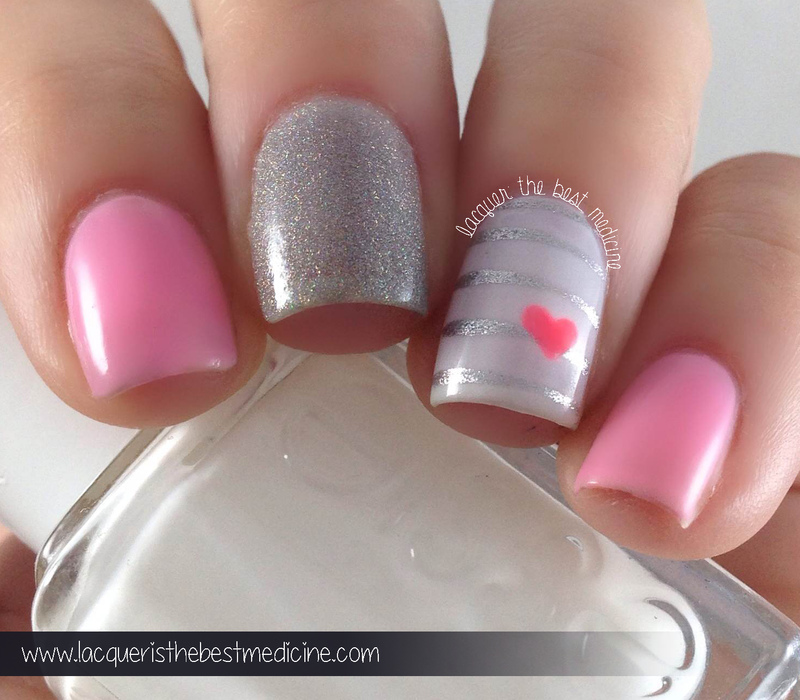 The light pink base is a beautiful crelly called Hush made by Lavish Polish. I used my favorite scattered silver holo (Sugar from InDecisive Lacquer) on my middle finger, and Essie Marshmallow for the white base on my accent nail. I freehanded the stripes and the tiny little heart using my SUPER awesome nail art pens I got from Tmart. I topped the whole mani off with my absolute favorite topcoat, HK Girl by Glisten & Glow. I love this look because it is simple, easy to do, and can be done quickly when you're crunched for time. What do you think?